CorelDRAW® X4 is an intuitive vector illustration and page layout application. 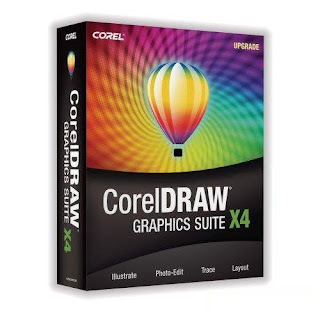 Whether you're a professional designer or someone who just wants professional results, CorelDRAW X4 gets you there fast. With the Interactive Table tool, independent page layers, real-time text formatting previews, and an integrated font identification feature, CorelDRAW X4 helps you lay out your designs faster. With Corel® PowerTRACE X4, you can quickly and easily trace bitmaps, converting them into editable and scalable vector images.